In the last few months, attacks on Colombia’s energy infrastructure by the FARC and ELN have increased. While such attacks affect the lives of many ordinary Colombians, they are most often discussed within the bigger issue of terrorism. However, there are a few Colombian bloggers who offer different perspectives. The issue is serious. Much more than acknowledged. Tumaco has been without electrical power for two weeks. Several towns in Arauca department have been in the same situation for a few days. 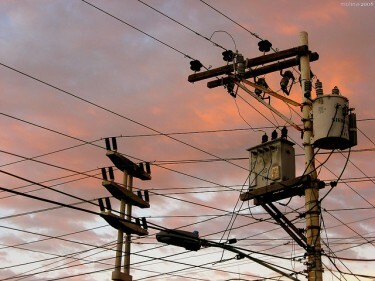 One of the transmission lines connecting central Colombia with the Caribbean Coast was dynamited this week. In August, fifteen towers were knocked down. Another seven have been severely damaged. Since the beginning of this year, the attempts against the national electricity system add up to 60. In 2010, there were 24; in 2011, 58. Every time FARC mount an illegal patrol, destroy an electricity tower or blow up an oil pipeline, they are reducing the production possibilities of Colombia as a whole, reducing our potential GNP (gross national product). What the minister intends to say is serious, because if attacks happen outside Bogotá, the potential GNP decreases more than proportionately to the real GNP, which means that the gross national product figures he can show are, according to this measurement, more significant. Tumaco, a coastal town on the Pacific, in southwestern Colombia, near Ecuador, was one of the most affected places. The town was left in the dark for two weeks in August and also had their supply of water reduced. Landmines planted around the towers killed three people [es] who were making repairs, including one indigenous Awá citizen. Another landmine, close to one of the towers and also to the local school, killed a 17-year-old Awá boy [es]. The local administration, together with security forces intends to issue a curfew within the next few hours in Tumaco […] The situation faced by the people is dramatic and worrying because essential goods are becoming scarce. Besides, some bus drivers don’t want to go to the town because of the serious public order situation in the region. […] Public and private schools decided to suspend activities until order has been restored. A total of 56,000 were on a [forced] school break. On August 18, 2012, around 2,000 marched [es] to express their contempt for terrorism. The strategic location of Tumaco and its poor security have made this town a victim of guerrillas, paramilitaries and criminal gangs (bacrim) engaged in drug-trafficking. A left-wing Senator demanded [es] the government should develop a security policy for the region. Though mentioned in the media, these attacks do not usually get deep coverage, and bloggers hardly mention it apart from the list of all criminal acts violent groups commit. Gaviria claimed that the increase in attacks bore relation to rumors at the time of conversations between the Colombian government and FARC guerrillas, which had “the veiled purpose of gaining a strategic advantage.” These rumors were confirmed days later. The attacks show how the Colombian state, which claims [es] these attacks show the “weakness” of guerrilla groups, is still far from achieving complete presence in remote areas of the country where armed and criminal groups thrive, despite some efforts [es].